The YouthMetre is an open architecture tool which has been updated and upgraded as data became and will become available and when necessary. The tool is configured for mobile use through a browser. This allows access on the move, as many functions require internet connection. YouthMetre supports EU Member States, municipalities and regions in carrying out effective policy reforms in the field of Youth, in line with the indications provided by the EU Youth Strategy and according to the priorities perceived by its target population: young Europeans. The YouthMetre and its associated training empowers young people, encouraging them to become engaged in Youth policy issues and then actively participate in EU Youth matters under OMC. 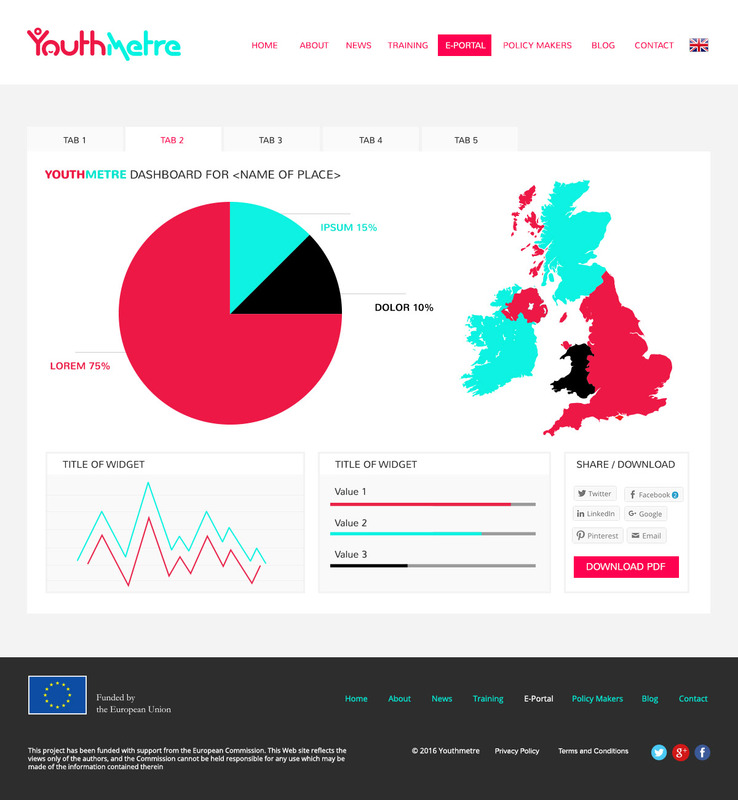 The YouthMetre offers users a Data Dashboard and visualization of EU Policy achievements in the eight areas of youth priority using digital technologies. The Data Dashboard provides a snapshot of performance of different parts of Europe in Youth Policy. The dashboard can be used by public authorities at European, national, regional and local levels to check their performance of the area and indicators in which they are interested. Young people can use the data and visualisations to create campaigns that challenge public bodies to better meet their needs.